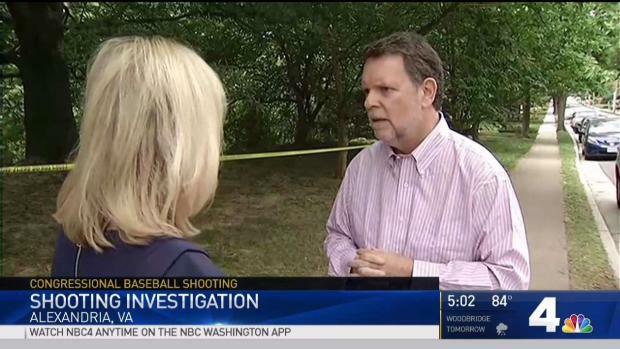 A gunman acted alone when he shot and wounded a top House Republican and four other people on a northern Virginia baseball field, the FBI said Wednesday. 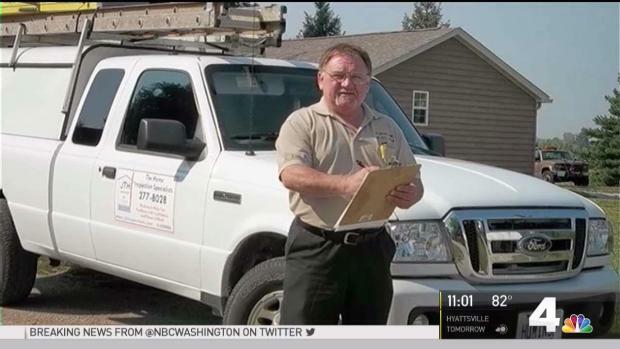 James T. Hodgkinson did not have any ties to terrorism, said Tim Slater, the special agent in charge of the Washington FBI office, during a news conference. Rep. Steve Scalise, the House majority whip, was gravely wounded in the shooting last week. He has undergone several surgeries and remains hospitalized. His condition has been upgraded to fair. Scalise and other congressional Republicans were practicing for their annual charity baseball game against Democrats when a gunman started shooting. U.S. Capitol Police and other officers returned fire and killed Hodgkinson, who the FBI says was under "financial and mental" stress and held a deep animus toward President Donald Trump and other Republicans. The FBI said in a statement the agency is actively investigating him to look at his associates, whereabouts and any activity on social media. Officials also are running a trace on two weapons, including a rifle and a handgun. 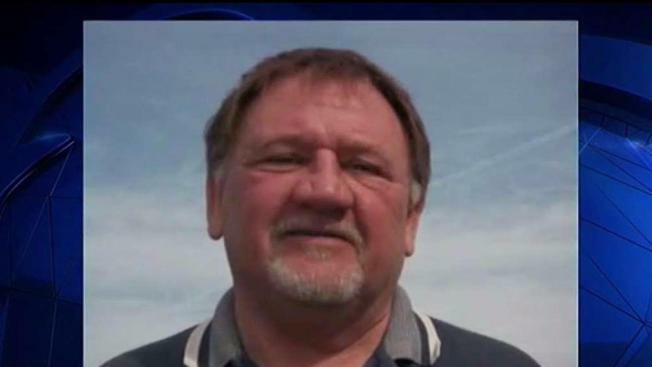 In March 2017, Hodgkinson told his family that he was leaving Belleville, Illinois, for Washington, D.C. But he didn't tell them what he would be doing in the city. The FBI found a Google search of truck stops, maps and toll-free routes to the Northern Virginia area on his computers. Before he left, police were called to his home after neighbors complained that he was doing target practice on his property. Local authorities determined he was doing nothing wrong and told him to keep the noise down. Once he arrived in Alexandria, Virginia, Hodgkinson frequented the YMCA location right next to the baseball diamond in the Del Ray neighborhood, and even went there the morning of the shooting. The FBI says Hodgkinson also rented a storage facility in the city, where he kept computers and over 200 rounds of ammunition. Between April and June, Hodgkinson visited the storage unit 43 times, sometimes twice a day. The FBI is still combing over every inch of the Alexandria shooting scene. News4's Julie Carey shares the latest information from law enforcement. During a search of Hodgkinson's van, investigators found a a handwritten list of six House Republicans' names. But officials say there was no context included on the piece of paper. A sketch of several streets in Washington, D.C., was also found, but the FBI said it was deemed to be of no investigative significance. Two days before the shooting, a family member said Hodgkinson sent a message about coming back home to Illinois. The FBI is still going through Hodgkinson's phone records and email accounts. On the day of the shooting, the FBI says Hodgkinson got out of his van with two weapons -- a 7.62 mm caliber SKS rifle and a 9 mm handgun. He approached Rep. Jeff Duncan (R-S.C.) as Duncan was leaving the baseball field and asked whether the team playing was a Republican or Democrat team. "I told him they were Republicans. He said, 'OK, thanks,' and turned around. I got in the car and left, and found out later that my Republican colleagues were targeted by an active shooter," Duncan said. Minutes later, Hodgkinson shot in the vicinity of the field where congressional members and staffers were standing. Capitol Police officers who were assigned to Scalise returned fire, and were soon joined by Alexandria police. James Hodgkinson used guns similar to these, the Bureau of Alcohol, Tobacco, Firearms and Explosives said Friday. A female police officer with less than two years' experience withstood a barrage of gunfire from the gunman. Alexandria Police Chief Michael Brown lauded the heroic actions of officer Nicole Battaglia and two other officers who were the first to arrive at a field where GOP congressmen were practicing for the game. Officers were first dispatched to the scene at 7:10 a.m. June 14, Brown said, and officer Kevin Jobe, a 16-year Alexandria police veteran, arrived less than two minutes later. Battaglia and another officer, Alexander Jensen, arrived around the same time.